There are many different activities and types of play you can enjoy with your dog, each offering different benefits for both you and your pet. Instead of just walking around the block or down the street to find a potty spot, for instance, change up your walk by going to a different place each day or walking somewhere that allows for more playtime once you reach the destination. Daily walks and daily playtime don’t have to be routine. 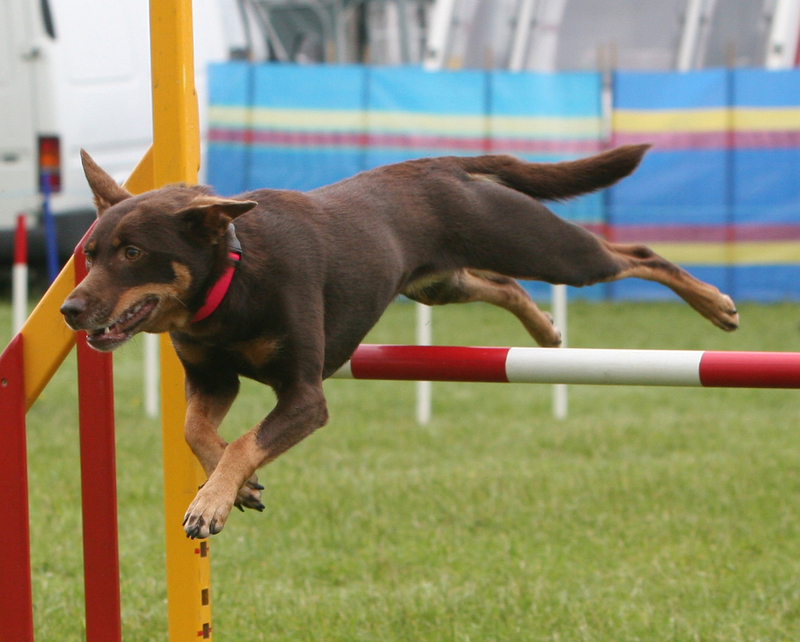 You’ve probably seen the competitions on television where dogs navigate obstacle courses to win a race. Many dogs love these types of challenges and find them high playtime. Ask your vet or local trainer if there are any courses in your area. By signing your dog up to learn to do agility courses, you’ll also get some exercise running alongside your pup and offering encouragement. If your dog can go off-leash in a park or other open area safely, kicking a soccer ball can be fun for both of you. Your dog may even start returning the ball part of the time. He’ll most likely chase you and the ball, giving you both plenty of exercise. This type of play is an old stand-by and a great choice for that reason. Be sure you use something soft and light like a tennis ball or a soft disc toy like one from EzyDog. Heavy and hard objects can hurt your dog’s teeth. Throw low to the ground so your dog doesn’t have to jump high and risking hurting himself on the landing. Want extra cardio? Throw it far for your dog to fetch, and then run to meet or chase your dog once he’s grabbed the object. If your dog loves to swim and can do so easily, then swimming can be a great, fun playtime for both of you. There are some breeds that can barely swim and others that don’t take well to it. 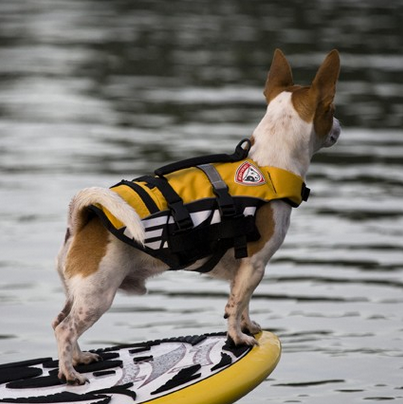 But if your dog enjoys it, purchase a dog life vest that fits your pup to make it easier and safer, and enjoy this great exercise together. Combine fetch and swimming by throwing a toy into the water. Don’t throw it too far to make it difficult for your dog, and you can both have fun with this activity. Remember to rest often if it’s hot outside, because dogs can get overheated even faster than people. Offer fresh water often so your dog doesn’t get thirsty. Keep things safe and reasonable, and you’re both sure to have a good time.